Young Catherine has strange dreams in which a recently kidnapped girl comes to her and tries to tell her a terrible secret. Nobody knows what has happened with this child . Catherine starts her own investigation and the great adventure begins. But it’s not that easy. The most important clues appear between twilight and the breaking dawn, because the most interesting parts of this adventure take place in her dreams. Dream Sleuth is a mysterious detective story from Nevosoft and is difficult to categorize: it’s a search game, a brain puzzle with hidden objects and much more. It has a beautiful soundtrack with an extreme movie plot. The inception of this detective story comes at twilight. Can you find this paranormal secret by breaking dawn? 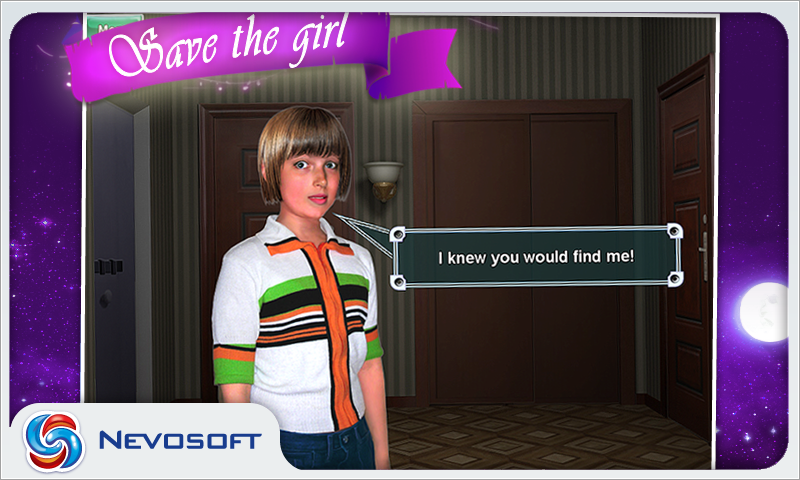 Nevosoft is proud to introduce Dream Sleuth for Android. It’s a thrilling hidden object game, where suspiciously real psychic dreams fit perfectly with good old fashioned detective work. The plot is one of the game's great strengths, it's full of unexpected twists and puzzles: a little girl was kidnapped in a small town, and official investigation doesn't seem to be getting any results. Helped by your grandma, a former investigative reporter, you begin your own investigation, interview witnesses and find a variety of hints that can help you get closer to figuring out the mystery. But the most significant clues come to you in your dreams. Dream Sleuth is not just another hidden object game. 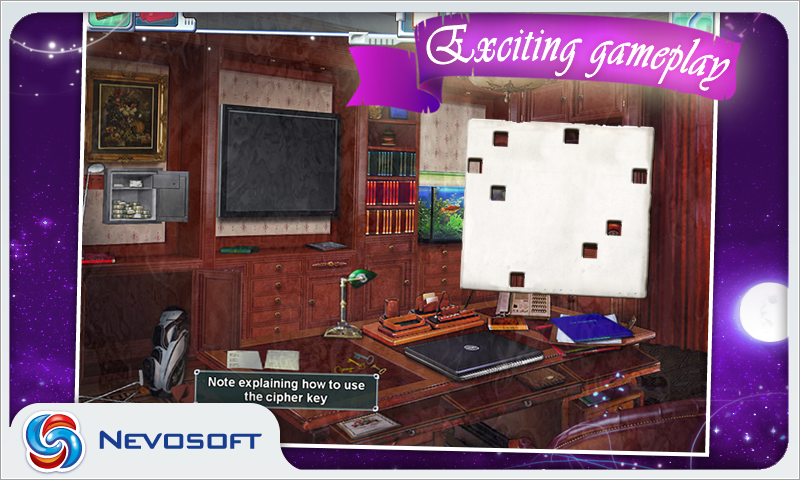 It's a cross between a classic hidden object game, logical puzzles and a good mind-twisting adventure. Actually, Dream Sleuth requires more logical skills and thought than you might expect from a typical hidden object game. 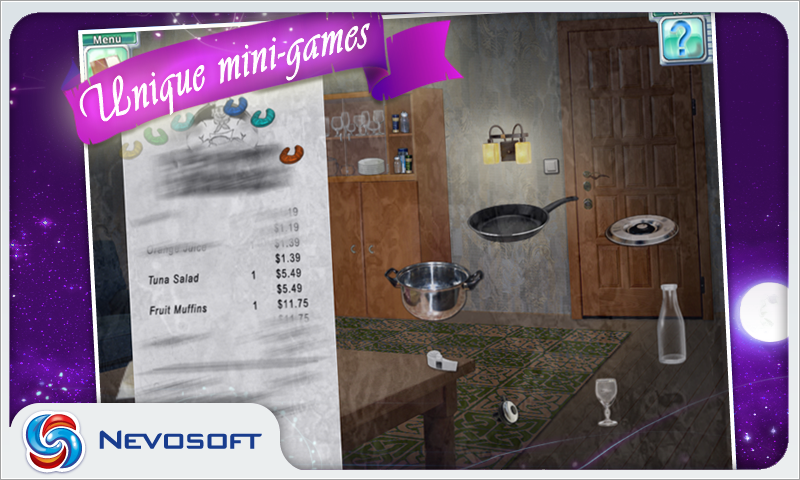 The hidden object tasks also vary, but you are rarely asked to find more than a couple items at a time. Often you are asked to find items of a certain type, like stars, or money, or toys. The game has another great plus: the creativity and variety of the mini-games. Some may seem quite easy, but most of them are quite challenging. The game has 18 different chapters, each with it's own location, so you won't get bored of the same backgrounds. Fans who enjoy thrilling stories and logical tasks will appreciate this hidden object detective game. Nevosoft is proud to introduce Dream Sleuth for Android. Dream Sleuth is a thrilling hidden object game, where suspiciously real psychic dreams meet good old fashioned detective work. The plot is one of the game's great strengths, it's full of unexpected twists and puzzles: a little girl was kidnapped in a small town, and the official investigation doesn't seem to be getting any results. You begin your own investigation, but the most significant clues come to you in your dreams. Dream Sleuth is a cross between a classic hidden object game, logical puzzles and a mind-twisting adventure. The hidden object tasks vary, but you are rarely asked to find more than a couple items at a time.The creativity and variety of the mini-games is another great plus. There are 18 different chapters, each with it's own location, so you won't get bored of the same backgrounds. Nevosoft is proud to introduce Dream Sleuth for Android. 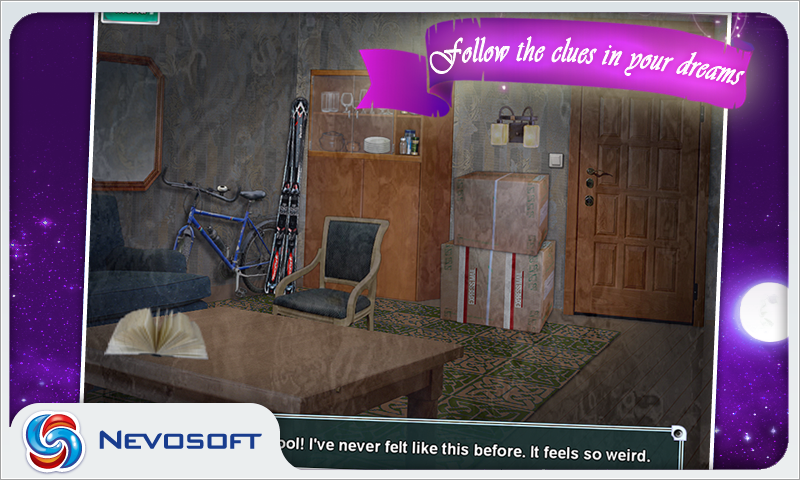 It is a thrilling hidden object game, where suspiciously real psychic dreams meet good old fashioned detective work. A little girl was kidnapped in a small town, you begin your own investigation. But the most significant clues come to you in your dreams. Dream Sleuth is a cross between a classic hidden object game, logical puzzles and a mind-twisting adventure. Complete all the tasks and find the girl!